for the principles and values that de. ne our people. on dilemmas in business and workplace ethics. and infuses financial life with awareness and meaning. This year we'll be combining our study of Chumash Shemot, The Book of Exodus, with a fascinating and enriching 10-week course on Jewish Business Ethics. In today's class, we will be dealing with some of the most fundamental and important issues in the life of every Jewish man and woman: our general attitudes toward work and wealth. There is no question but that our attitude towards money impacts every area of our lives— our marriages, our peace of mind, even our physical health. So, how much importance does the Torah advise us to put on honest work? Is it good to be rich? What role should earning a living or gathering wealth play in the life of the average Jew? In short, what is the proper balance between the pursuits of materialism and spirituality? In today's class we will be exploring these important questions, and more. The world is moving towards an increasingly global and interdependent economy. Every Jewish man and woman is a stakeholder in more than the economic life of their family. We need to be concerned with the economy of whatever nation we are living in. And we even need to be mindful of the economic life of the world as a whole. Over the next two weeks we will be studying a key question that will impact our lives and the lives of our children for generations-to-come: What type of economic system— Capitalist or Socialist — is more consistent with the Torah's approach to global, national and personal economic life? By studying the Torah's approach to the pros and cons of both capitalism and socialism, we will develop deep insights into the proper structuring of our personal economic lives as well. In last week's lesson we saw how the Torah not only allows, but also even encourages us to pursue our self-interest. At the same time the Torah recognizes that each of us has a yetzer hara, and if we only follow our hearts' desires and see the world only from a selfish perspective, we will eventually justify taking advantage of others, as our minds are capable of rationalizing almost anything. 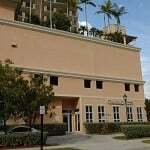 In this week's class we'll study the mitzvah of hasagat gevul — infringing on someone else's business — and see how the Torah's laws, both in their plain meaning and inner wisdom, ensure ethical business practices, and produce a "compassionate capitalism" that represents the best of both economic worlds, providing both the freedom and wealth of capitalism as well as the compassion and protections of socialism. Profit provides the best incentive that human society has found for developing an economy and maintaining overall prosperity. Yet what is profitable for one person or company often spells hardship or even ruin for others. In today's world, for example, high fuel prices have brought record profits to some, while posing a terrible burden on many others. Throughout the ages, societies have grappled with the issue of whether it is effective or ethical to tamper with free-market prices. Is it just to regulate one man's profits while not regulating another's? Can we find a way to allow a reasonable but limited profit to some, in order to keep prices affordable and goods available? What practical and ethical problems arise from doing so? In today's class we'll examine what Jewish law and our ethical teachings tell us about resolving these crucial issues in economic policy. In primitive economies, survival of the fittest in business disputes usually meant survival of the guy with the biggest muscles or the heaviest club. In our advanced, modern economy, survival of the fittest usually means survival of the man, woman, or corporation with the best and brightest lawyers. But is there really much of a difference between these two winner-take-all approaches, and is there a better way? In today's class we will see how, according to the Torah, there is in fact a much better way. The desire to achieve a "win-win" outcome in business conflicts — where both parties walk away satisfied with the result —is not a contemporary fad, but is a principle enshrined in The Torah's approach to conflict resolution of every kind. Mishpatim: The Mortgage and Credit Meltdown-Who is Accountable? How could the current mortgage crisis, credit crush and developing recession have happened? Where were the safeguards that most people believed were in place to avoid a financial meltdown? Were there systemic violations of Torah law that contributed to the crisis? Most importantly, are there actions that the Torah advises individuals and governments to take to avoid similar crises from arising in the future? In this week's class, we will first focus on what appears to be a completely unrelated issue: The prohibition against striking one's parents. We will trace the series of connections made by our Sages throughout the generations that result in the moral imperatives that govern our social and business obligations. By doing so, we will find ourselves analyzing the current economic crisis in the light of the Torah's unique moral insights. From the multi-billion-$ advertising industry to the one-to-one haggling at the used-car lot, business is all about communications. Someone has goods or services that they want you to buy, and in order to persuade you to buy their products or services, they have to convey information in the form of words and images that impact your intellect, your emotions, and your instincts. But exactly how honest and forthright must they be? 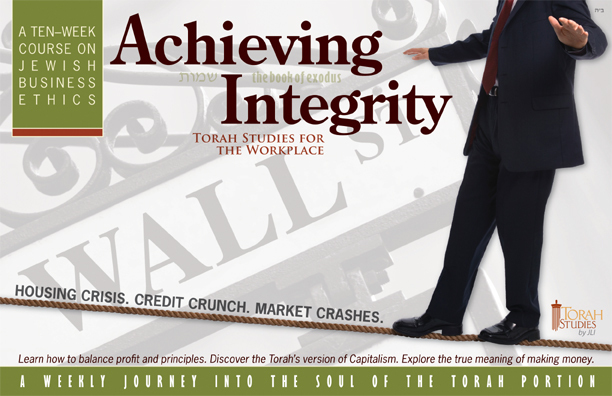 Deceptive business practices are as old as the marketplace, and in today's class we will begin to delve into the Torah's extensive laws and advice about what should and should not be said in order to ensure fairness and integrity in business communications of every kind. There are few "headier" feelings than being contacted by a headhunter. We balance the rewards and risks involved in changing jobs, but do we also consider our responsibilities to our current employer? According to the Torah's higher moral standards, do employees and recruiters have unlimited rights? Do I have the right to leave my company if doing so will threaten the livelihood of others? Do I have ethical responsibilities to my employer that might prevent me from taking the better job? Does a Torah-observant recruiter have the right to "steal" an employee from his current company? In this week's lesson we will see how the Torah truly offers a "higher standard" in employment and hiring practices, standards that would be in the best interests of the individual, the employer, and society as a whole to follow. Every government has certain obligations to all of its citizens, and no one would seriously argue that there is no need for a national defense, local police forces, courts of justice, the maintenance of roads, sewage and water systems, or public funds to prevent the poorest among us from starving to death. To pay for our common needs and obligations we have had taxes in one form or another since the beginning of human society, and the two basic issues about taxation have always been the same: What are truly public purposes, and how should those purposes be most equitably funded? In this week's class we will explore the fascinating issue of taxation in the Torah and halacha, and see how our Sages throughout Jewish history have grappled with the most important issues of defining our truly communal obligations, determining the fairest means of taxation to pay for them.